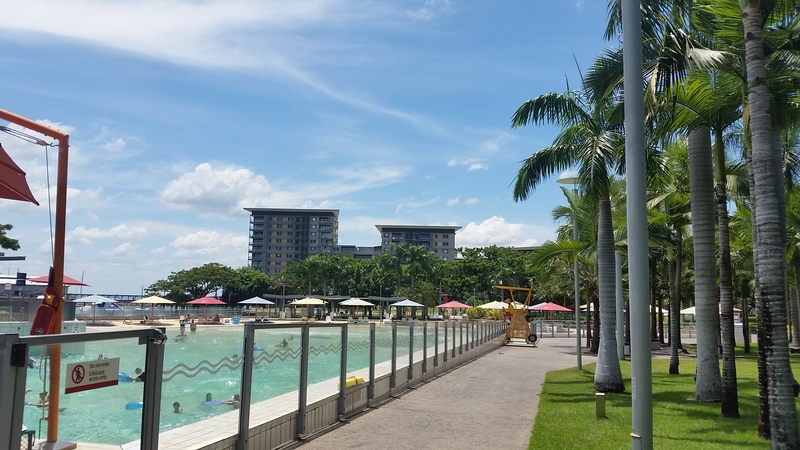 With the weather warming up and a few birthdays coming up we decided to head straight for Darwin. 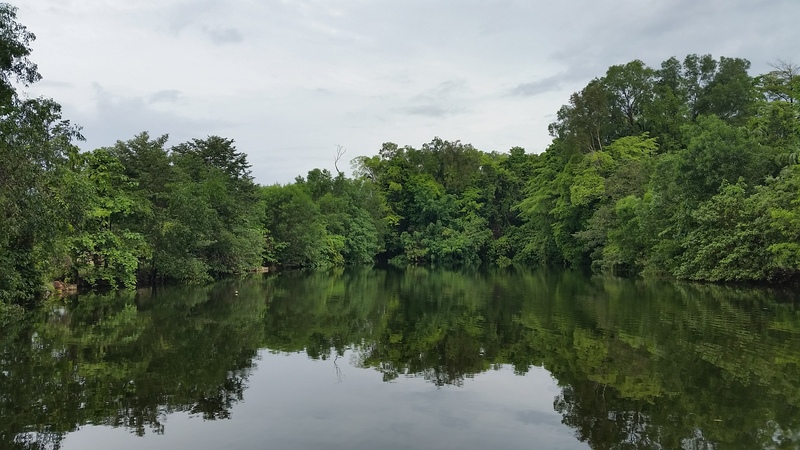 We did contemplate going to see the Jumping Croc cruise, but then we all didn’t really like the sound of going in a boat and seeing wild crocs jumping up right near us. It just seemed unnatural after what we had seen at Cahills Crossing in Kakadu and I personally didn’t think it was a good thing that they were training these crocs to associate boats with food and approaching them all the time, a behaviour that rangers consider aggresive and constitute killing or relocating a croc….. 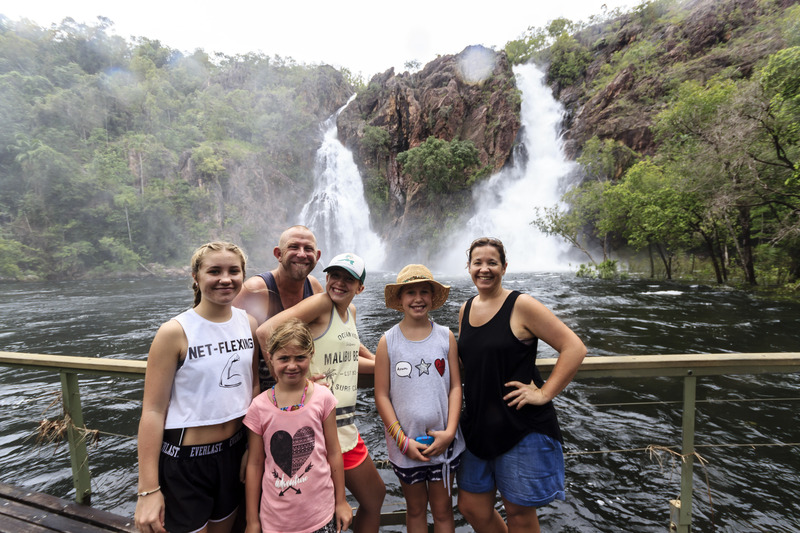 Anyway off my high horse and onto Darwin, we first stayed at the Big 4 in Howard Springs to say hello to our travelling friends from Alice, the Boardmans. It had been over a year since we had left them in Alice, so it was great to catch up with them. 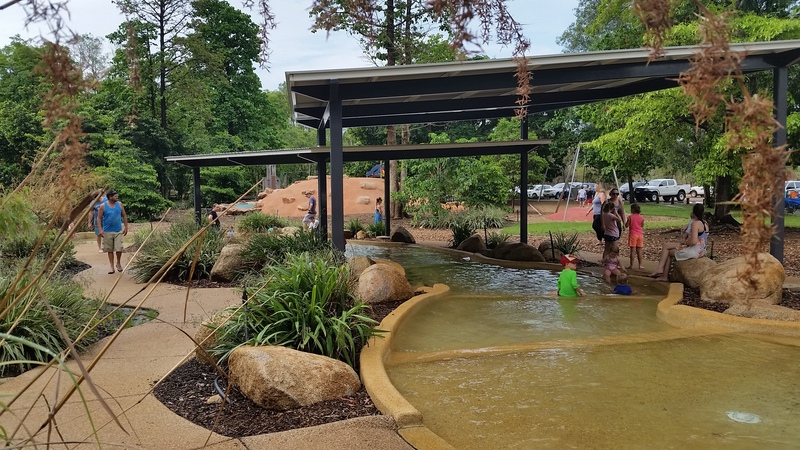 After discussing our change of park plans with them, they decided to swap caravan parks with us too and head on up to Darwin Freespirit Resort in Palmerston, about a 20 minute drive to the city of Darwin. 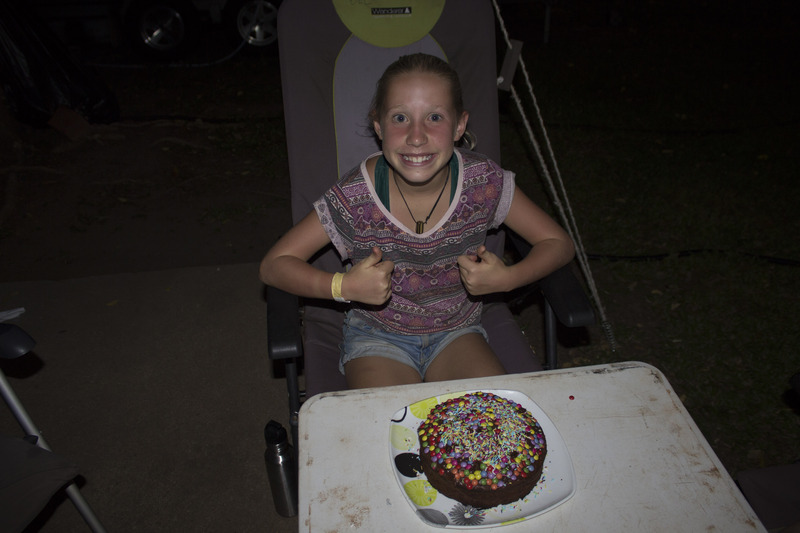 Our first 8 weeks being in Darwin was busy, firstly we had 3 birthdays to celebrate, Bec turned 15, Abby turned 11 and Jess turned 9. Presents, cake and outings were all enjoyed and appreciated. 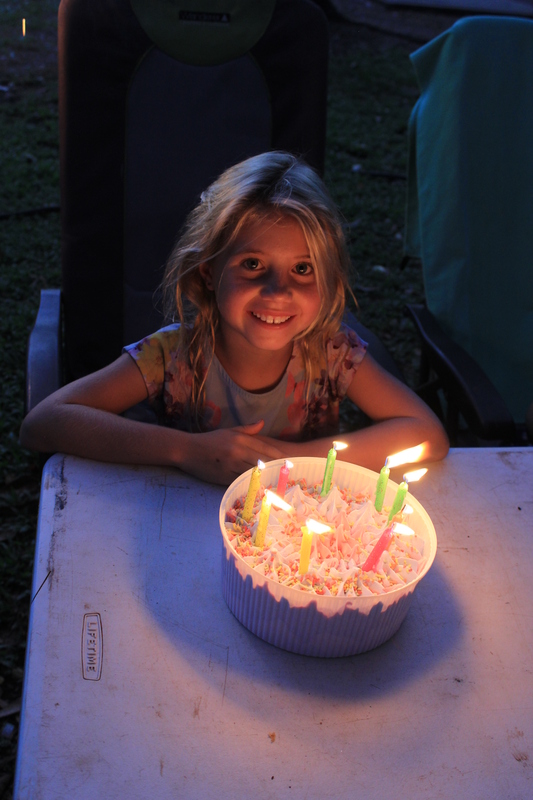 Bec and her birthday cake. 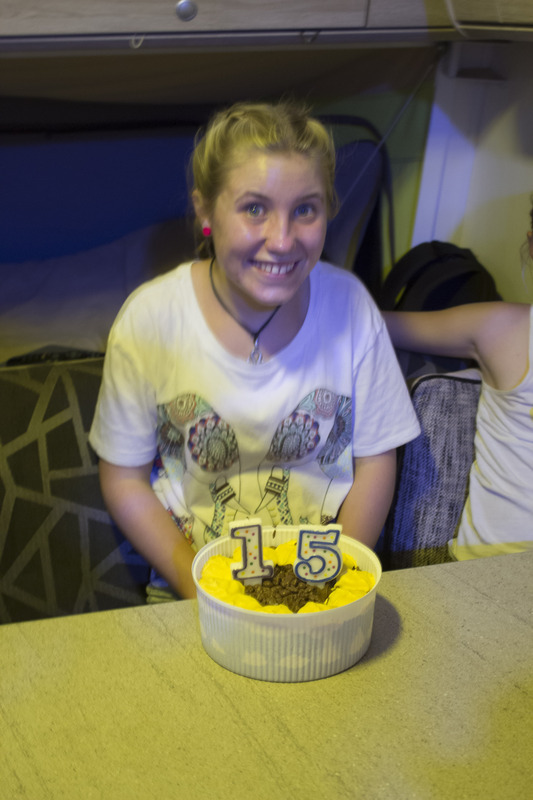 Abs and her birhday cake. 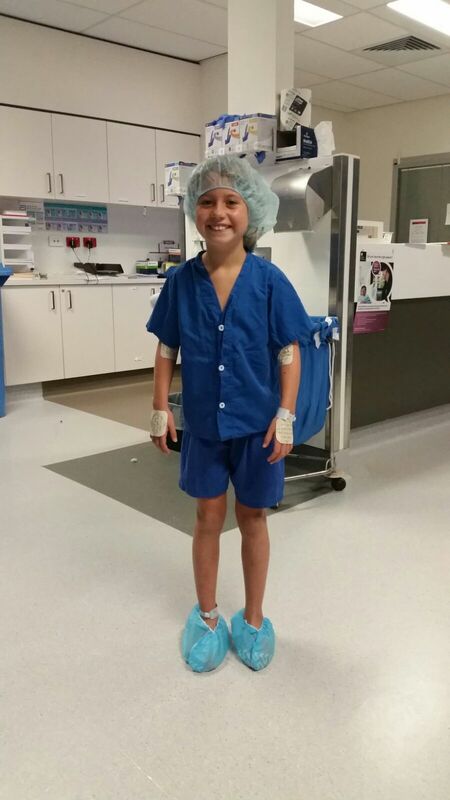 Jess was also diagnosed with Coeliac Disease after a gastroscopy at Royal Darwin Hospital, whilst I had my university practicals to complete, followed up with a 4 week placement at the Royal Darwin Hospital, what an eye opener that was!! 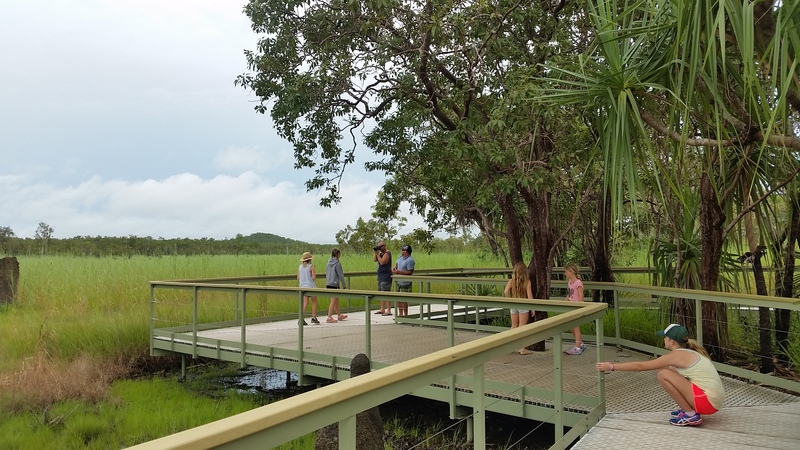 I learnt a lot there, so much chronic illness, especially diabetes and kidney disease, however one thing that blew me away was the term ‘long grasser’…a term used to describe the many Indigenous people simply living in parks, paddocks and anywhere else where they can set up a lean to and create a home. This word wasn’t just slang, it is actually recognised as a valid address by government departments…… We had a group of long grasses in the land next to the caravan park, we forgot they were there as they caused no trouble, but after 2 months the powers that be came in and moved them on. Apparently a lot of the long grassers are either in town for a few weeks/ months to visit other relatives long grassing or they have been kicked out of their community for doing the wrong thing, mainly alcohol and drugs. 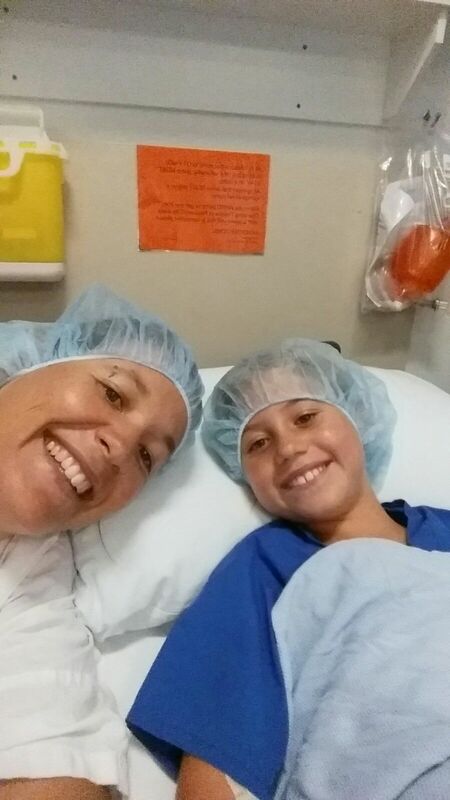 Jess in her presurg get up. 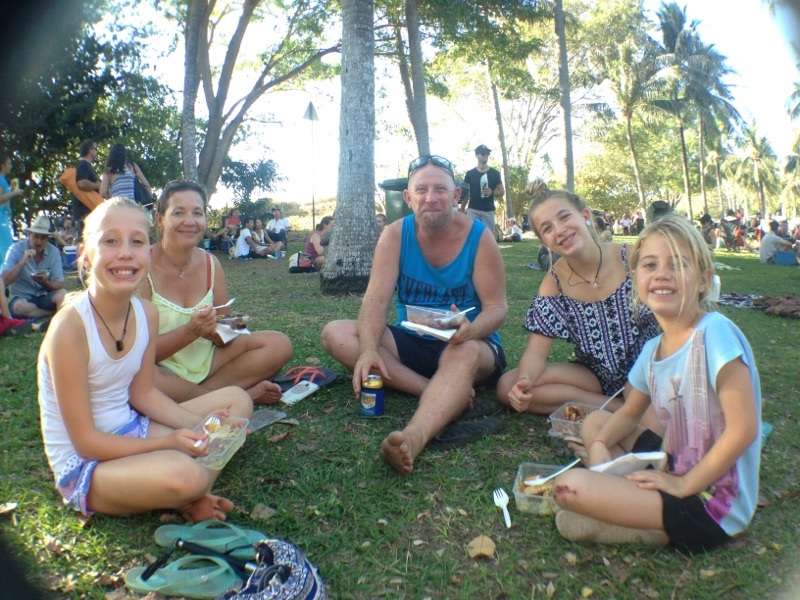 After we were set up and settled in at Freespirit, we also enroled the kids in term 4 at the local schools, more so for them to hang out with new friends and have a change from us as teachers. They all grabbed the oppurtunity with both hands and whilst they didn’t overly enjoy the experience they embraced and tried their best. They were all a little bored with the schoolwork, not so much in that it was too easy, more so in that they have been so self directed and organised with the home schooling that they finished well before everyone else in the class and got bored. 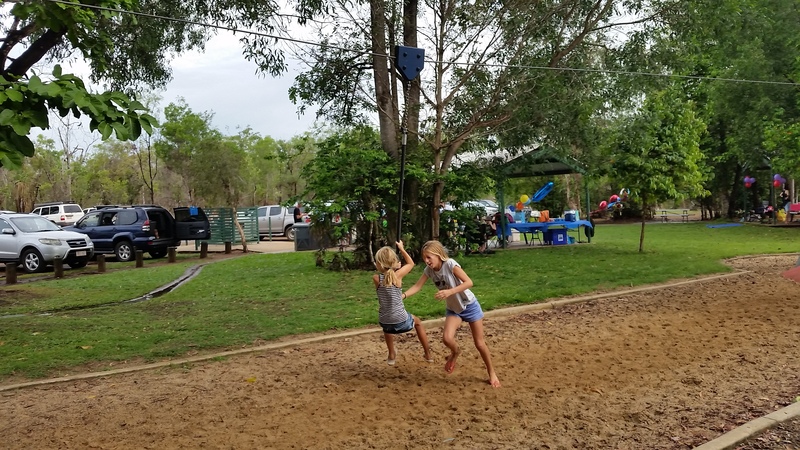 Abs and Jess enjoyed Durack Primary School, where they were enrolled, quite a few of the kids from the park were going there so they already knew lots of kids, their teachers were nice and they fitted in well. Bec and Zoe went to Rosebery Middle School which is years 7 to 9, and in their own words it was ‘interesting’, adding that the kids up here a different to the kids at home…… Now, I’m not too sure whether that is true, or its just being ‘newbies’, or perhaps being exposed to these year levels for the first time, perhaps all year 9 kids are like the ones up here……….eeek. 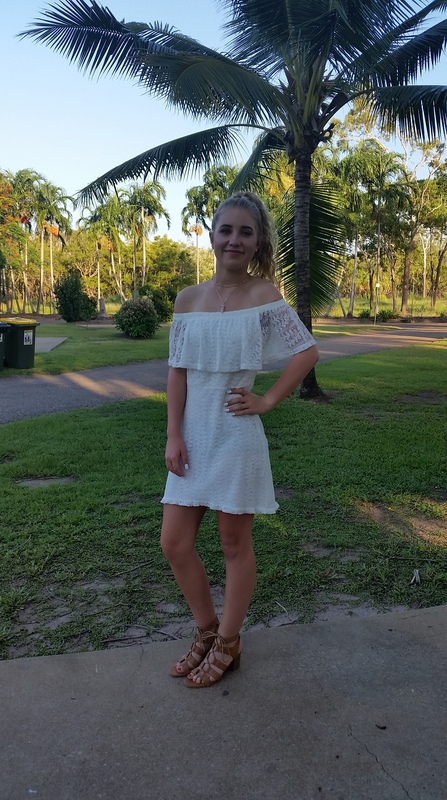 Aside from that, Bec did make some wonderful friends and was able to go to her year 9 formal, she even managed to get a job waitressing at the restaurant ‘Elements’, within the resort. 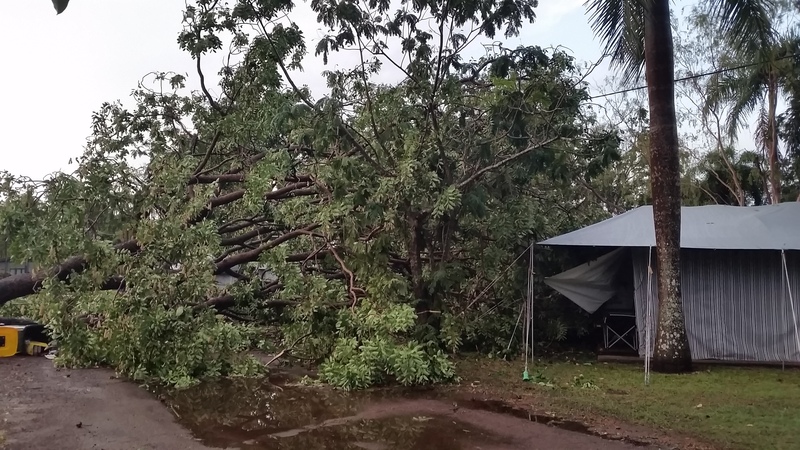 We also had some pretty wild storms at Freespirit while we were there, one resulting in many trees falling, thankfully noone or thing was hurt or damaged!! Bec all dressed up for her formal. 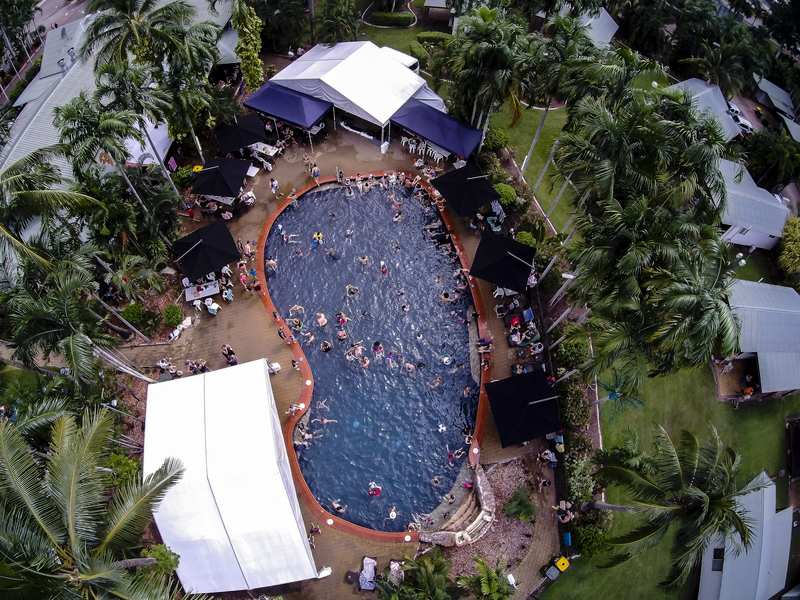 Niks drone photo of the pool at Freespirit. The beginning of the wet. 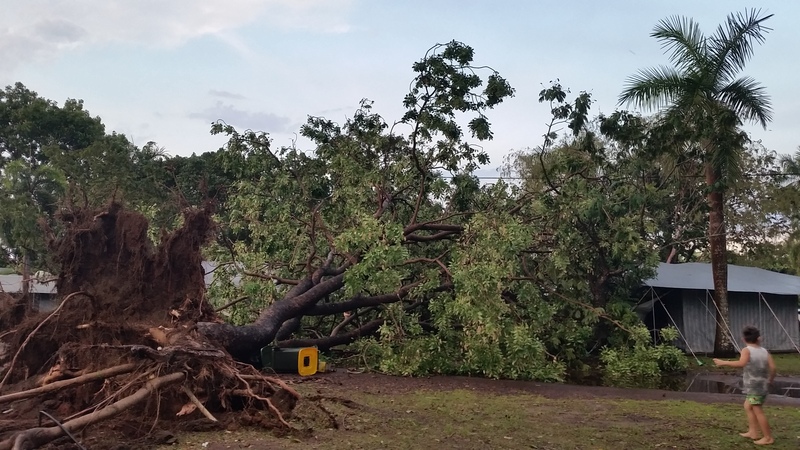 That was one hell of a tree. 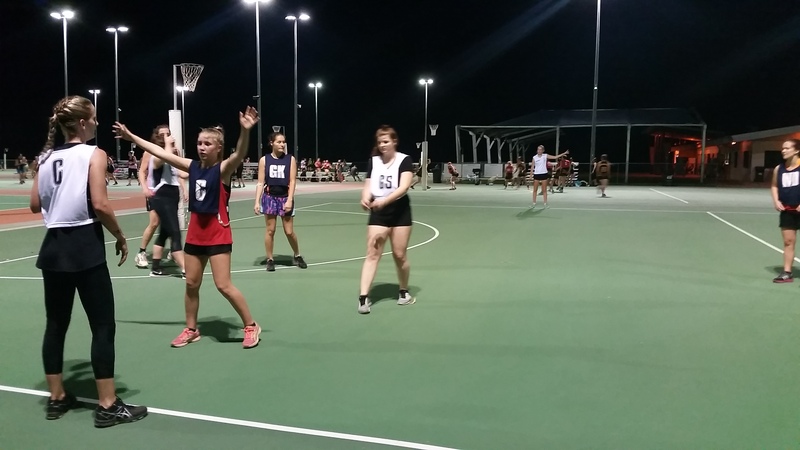 Bec also did some investigating and found a netball competition that her and Zoe could compete in, so every Thursday night for 8 weeks we would head up to Marrarra sports complex to watch the girls play netball. 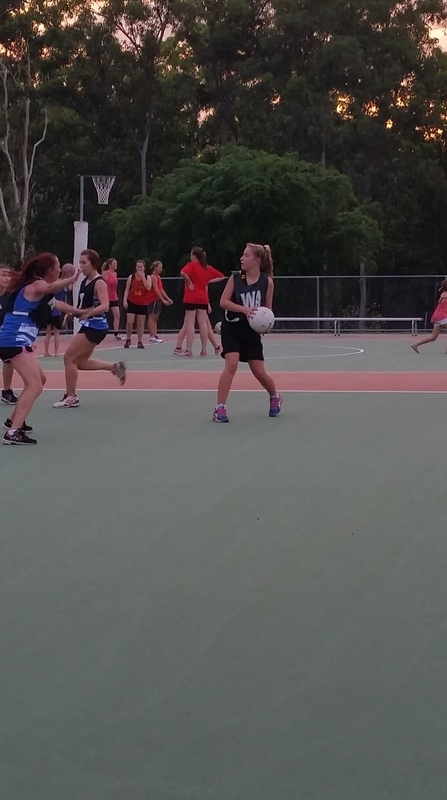 The girls loved this, Bec and Zoe made some great friends and so did Abs and Jess as it was very much like the Saturday morning comps back in Vic, with lots of younger siblings roaming around in their wolf packs!!!! The sunsets were pretty awesome too. 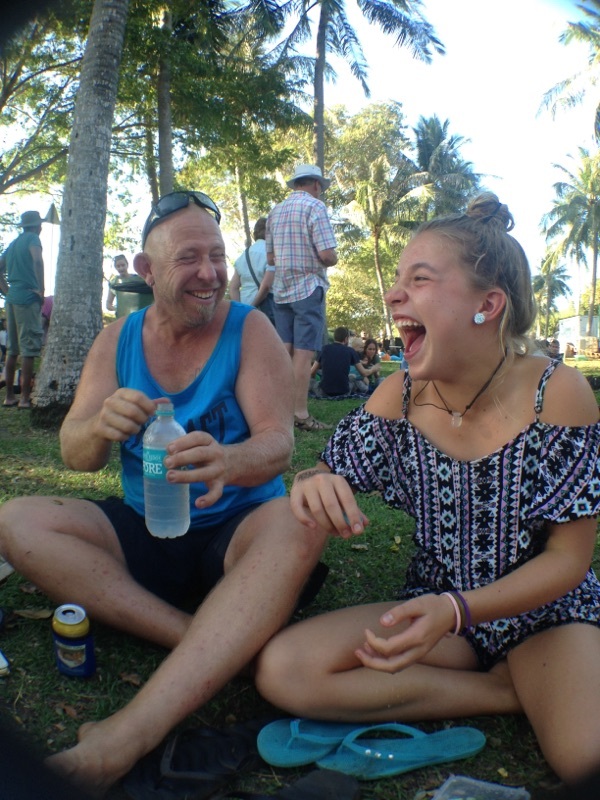 Nik also did well and within 2 weeks of arriving in Darwin he had a job at the van park we were staying at, he was ‘night watchman/ manager’ and even dabbled a bit in the daytime groundsman duties when they needed him. He quite enjoyed himself in this role, even though it was tough work with the humidity and heat. However, the fact that his job kept him in the park allowed me to do agency work and eventually also a job at Darwin Private. 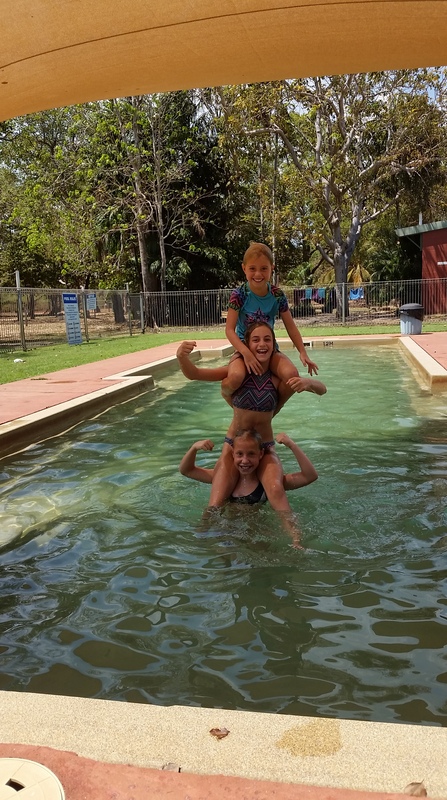 Whilst we both worked a lot of hours we also explored Darwin and surrounds, whilst the girls kept themselves busy swimming and hanging out with the other kids in the park. 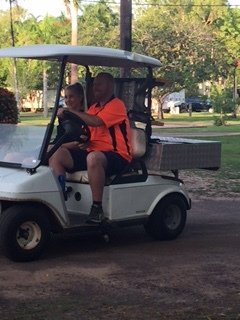 Nik taking Bec to work in his work buggy. 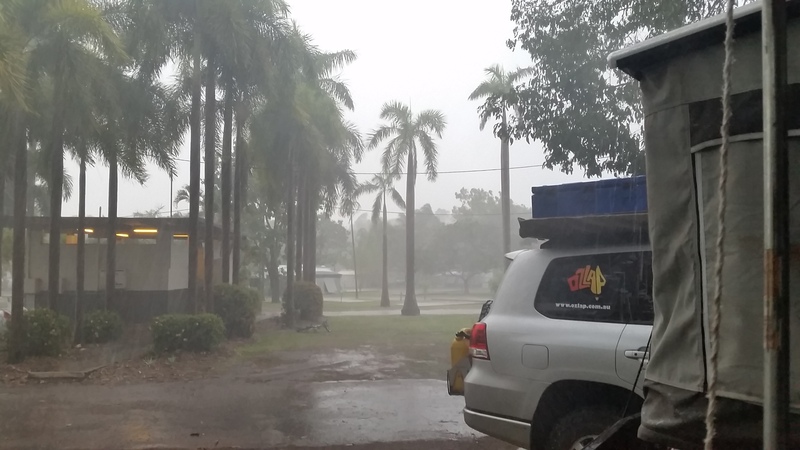 We had contemplated heading down to Litchfield for a few days, but being the wet season and bloody hot, we decided to go for the day. Friends of ours from the caravan park, Joel and Sandy and their 4 kids, also decided to come for a day trip, which was great for us as they had already been there and knew where to go. 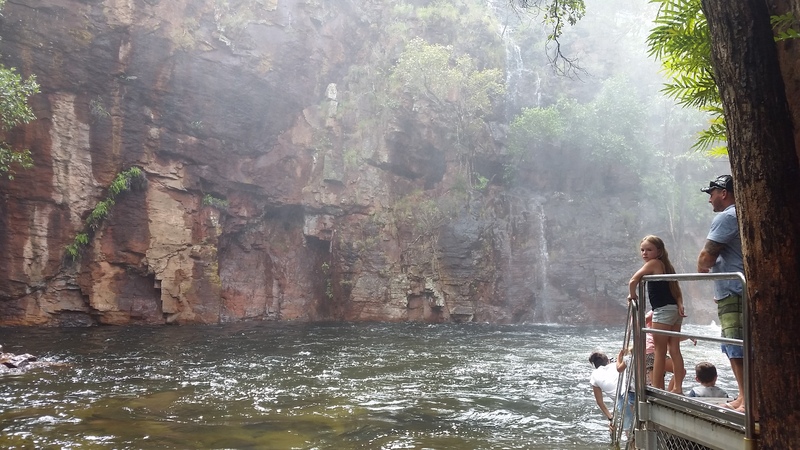 Once again given the season we didn’t take our bathers, you never know whats lurking below the surface, so our day consisted of mainly doing the short walks and being amazed at the scenery and also the volume of water. 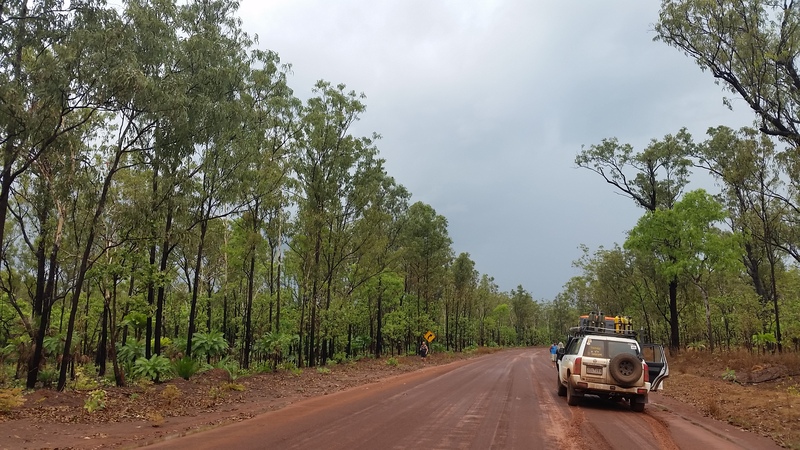 We also had to take the main route from Darwin, being down th Stuart Hwy and in via Batchelor, which was a very easy relaxing drive. 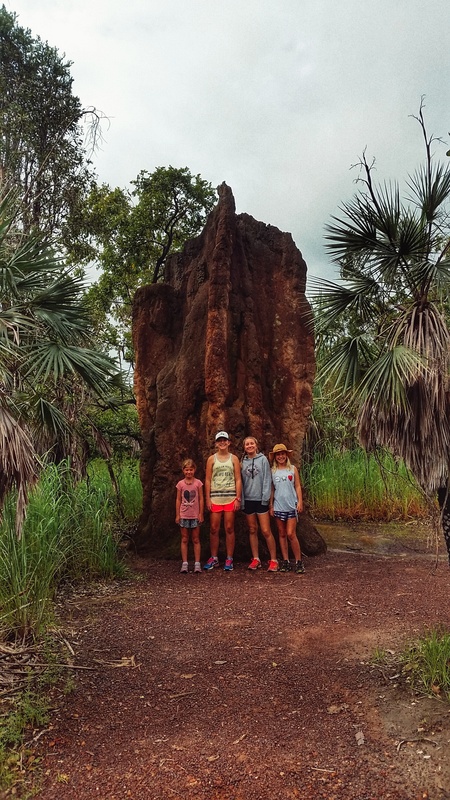 First stop was the Magnetic Termite mounds, a very short stroll along the boardwalk to a clearing dotted with termite mounds. 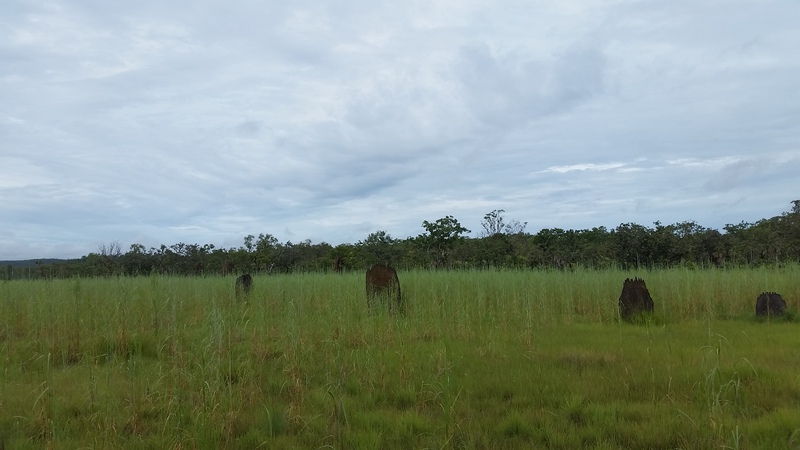 Whilst we had seen termite mounds before, here there were actually a different type called magnetic termte mounds which are built by the termites to be aligned north to south to minimise the exposure to the sun. 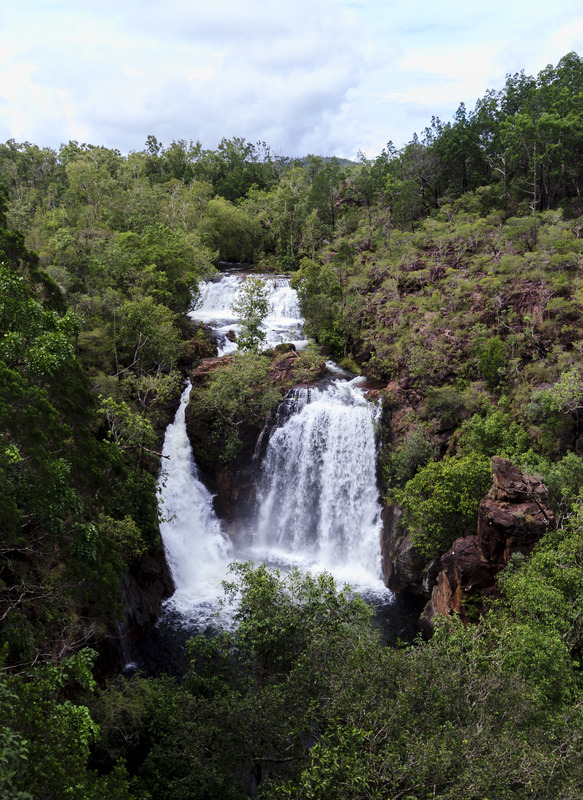 Further on from the mounds we called into Florence Falls and Bluey Rockhole for morning tea and a walk. 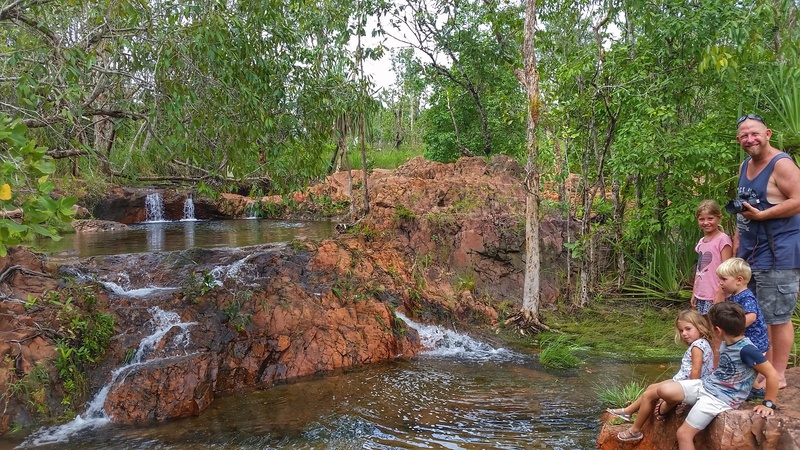 These were both awesome places and would be wonderful places to swim in during the dry, we managed to get some great photos and as usual appreciate the natural beauty of our surrounds. 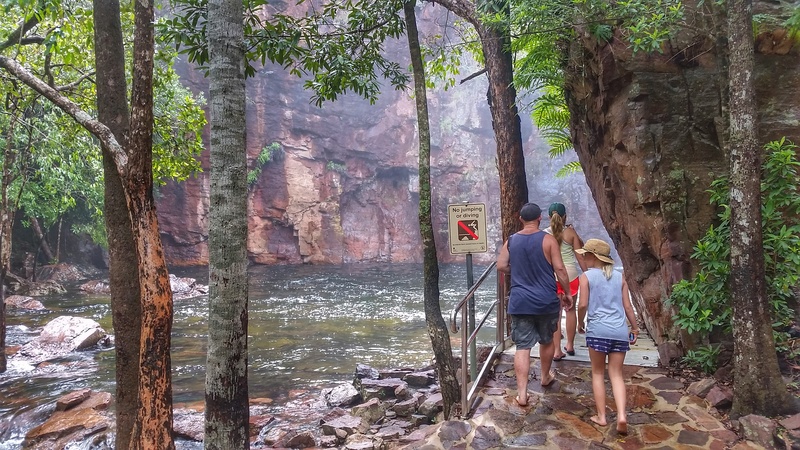 The walk into Florence Falls. Trying to peak around the corner to see Florence Falls. For lunch we stopped for a picnic lunch and sausages at the infamous Wangi Falls. The info centre was still open however the falls had been fenced off to swimming as the water level was quite high and half the BBQ area was underwater. 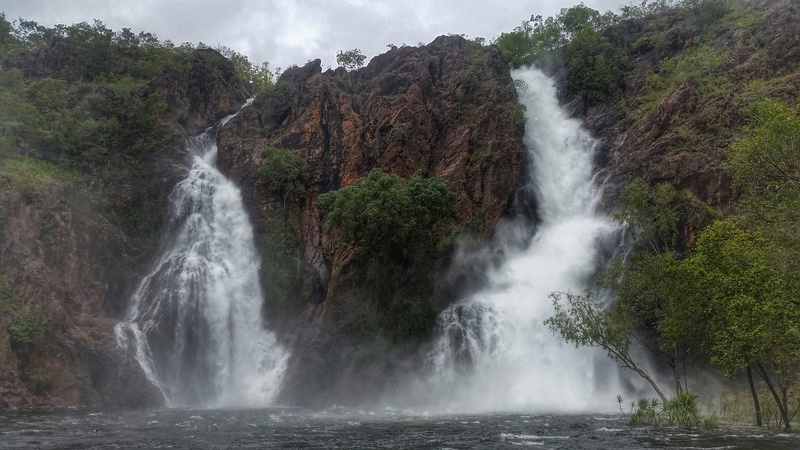 We were still able to walk out onto the boardwalk and see the falls from a closer viewpoint, they were absolutely roaring. Quite clearly going by the debris on the boardwalk the water level had actually subsided quite considerably. 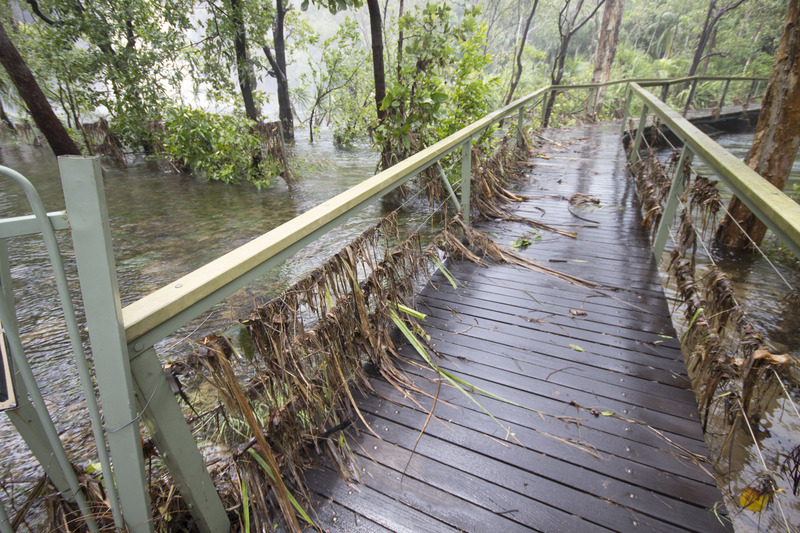 The boardwalk at Wangi Falls, think the water level has dropped a bit. 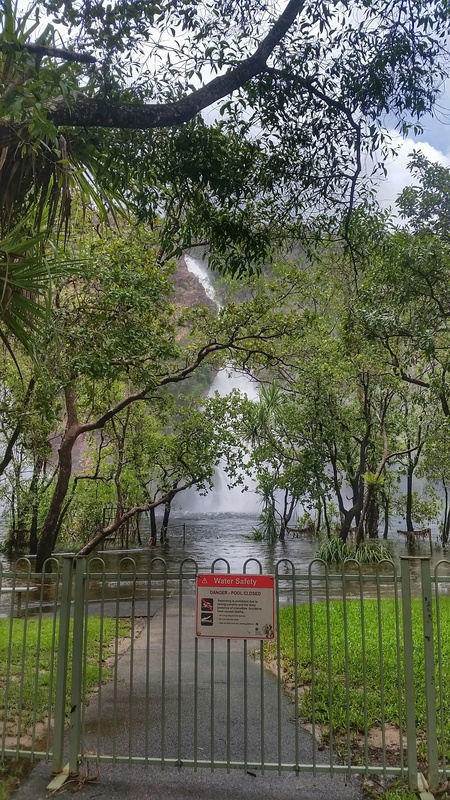 The fenced off BBQ area at Wangi Falls. 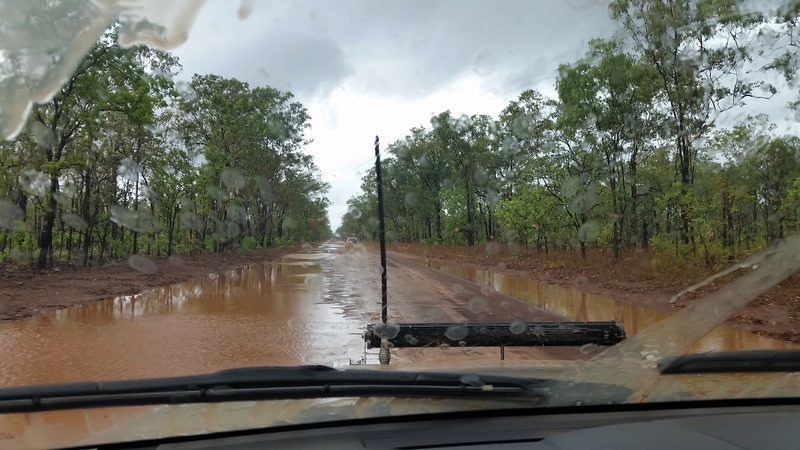 After lunch on our drive back we were hoping to explore further into the park, however all of the dirt side roads had been closed due to the water, so we missed the Lost City and also Blyth Homestead ruins, something for next time!! 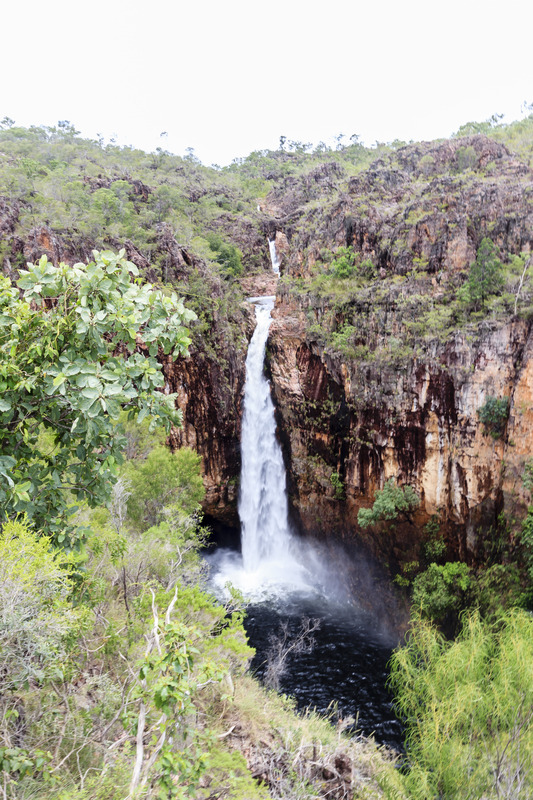 Our last stop was at Tolmer Falls, which was a massive long drop waterfall, it wasn’t accesible close up however a short track and lookout platform allowed us to take some great photos. 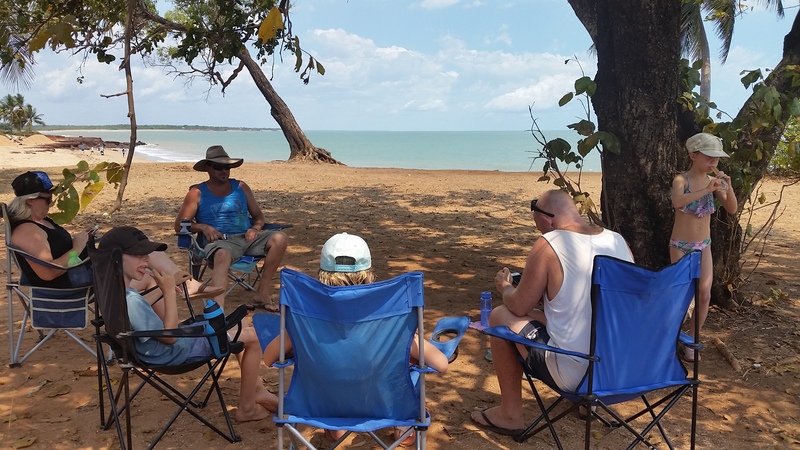 We also took a drive out to Dundee Beach about 100km south west of Darwin, the first time we went with the Boardmans for a sticky beak and swim at the caravan parks pool (once again it was bloody hot). Whilst the girls swam , Nik, Mark and the boys tried their hand at a spot of beach fishing, unfortunately to no avail. 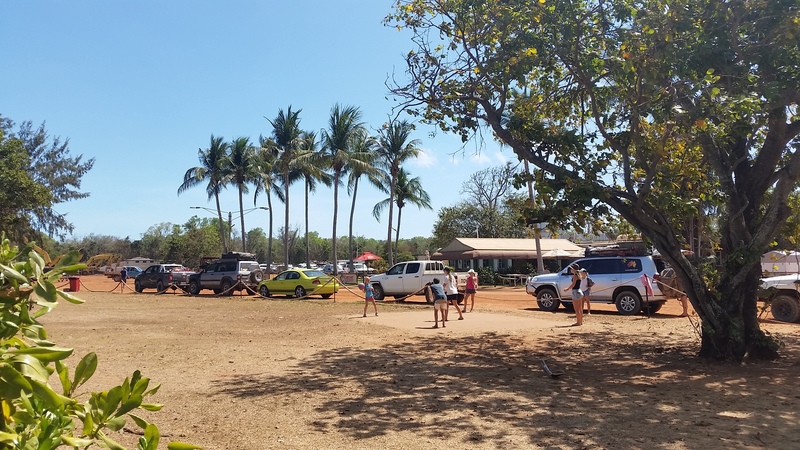 We sat and had a picnic lunch and marvelled at the bright blue skies, sunshine, palm trees and enticing blue water and the fact that we simply just could not get in, something the girls really struggled with, they seemed to think it was unfair that the crocs had all the fun!!! Looking back towards the pu at Dundee Beach. Picnic in the shade at Dundee beach. Tomfoolery in the pool at Dundee beach. 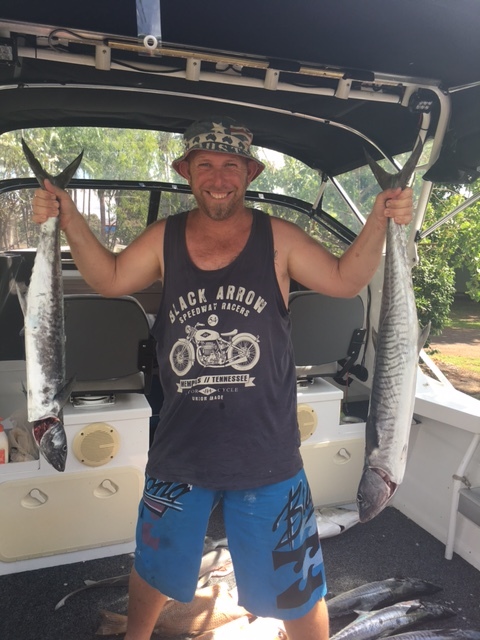 Dundee Beach was also a great place to launch the boat and go fishing, which luckily for Nik, his new mate Joel just happened to have!!! If the weather allowed and neither of them were working at the park, they often went out for the day fishing with another mate, Paul. Bar one occasion, where the weather and water didn’t play nicely, the fishing trips were very productive, resulting in many evening meals and lots of fun, particuarly if they concluded with a counter meal at the Dundee Pub. 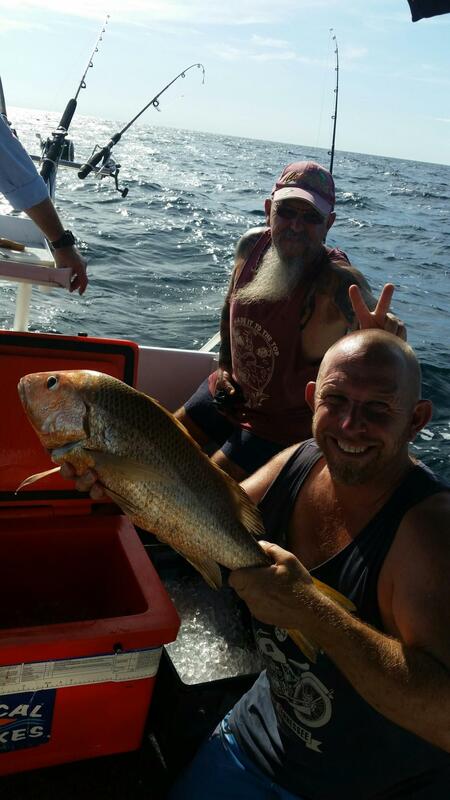 Nik and Paulie out fishing off Dundee Beach in Joel’s boat. Nik with some of his catch. 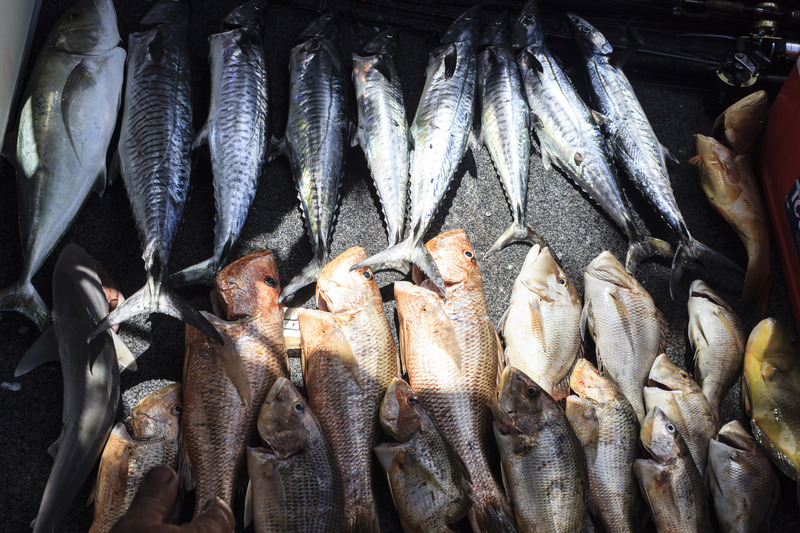 Daily haul from fishing at Dundee Beach. 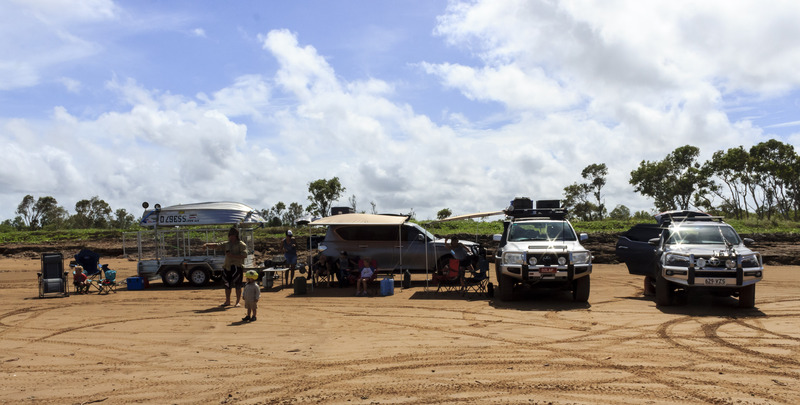 Another expedition out of town was to north to Gunn Point, once again first with the Boardmans where the weather turned on us half way home and the second for Nik and the girls (I had to work…). With the Boardmans we explored the Gunn Point Prison Farm, which was built to help with the overcrowding at the Fannie Bay Gaol back in 1973. 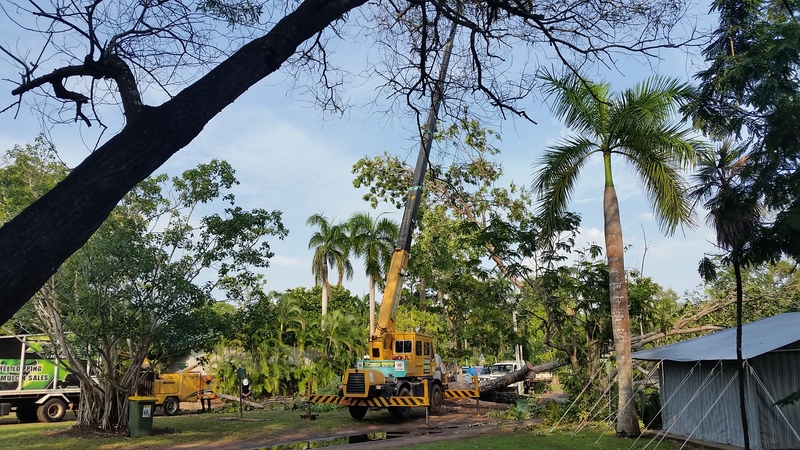 It only closed back in 1996 as it cost too much to keep open and going by how hot, humid and wet it was during the wet season, it would certainly have been tough doing time there!!!! Perhaps they should have kept it open 😉. 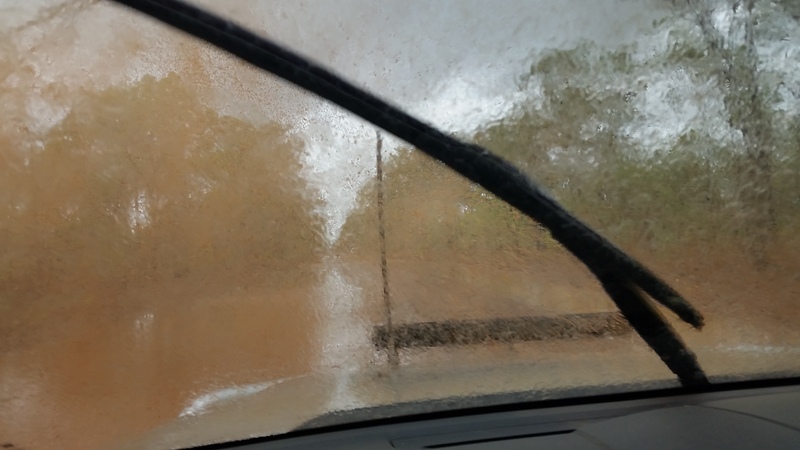 On our way home, the weather turned nasty, which made for one hell of a ride, think we saw the Boardman’s patrol going sideways at one stage, although I think Mark did that on purpose…. 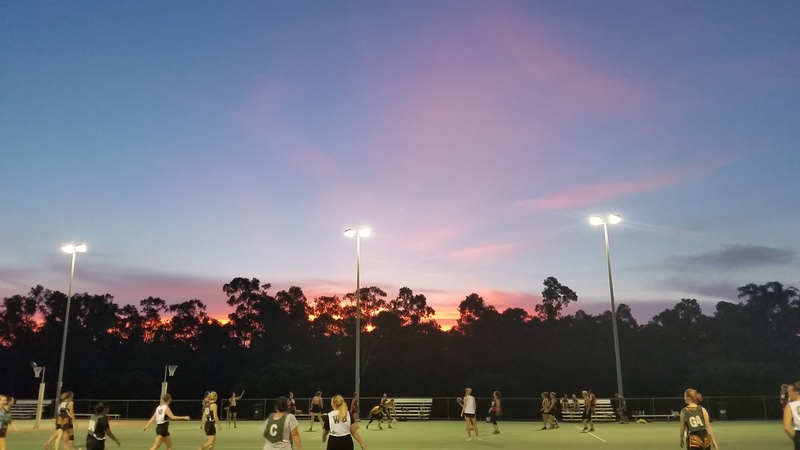 We also called into Howard Springs Reserve for a run around before we headed home. 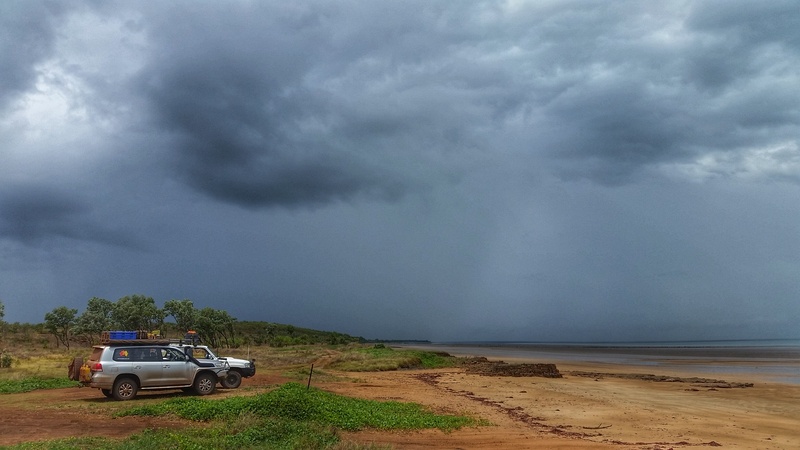 The usual omnious skies up at Gunn Point. 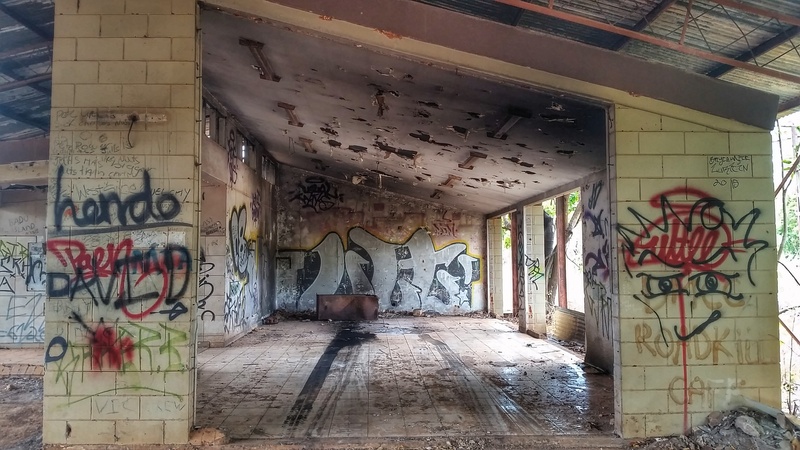 Grafitti at the old Gunn Pont jail. The drive back form Gunn Point. 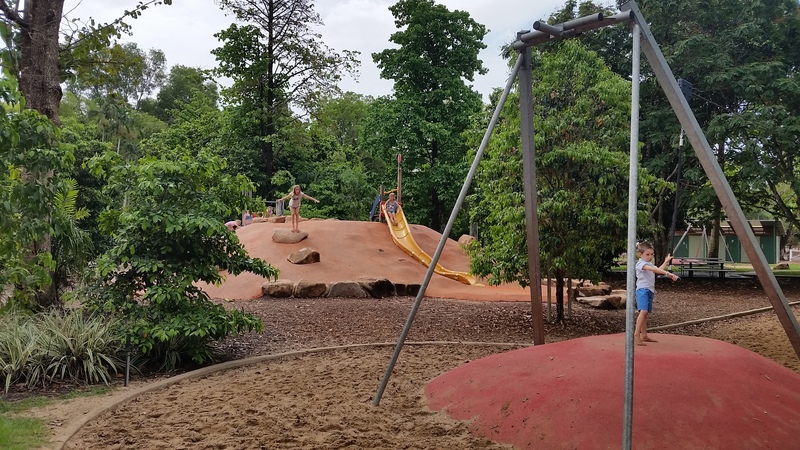 Part of the playground at Howard Springs NP, all free to enter. 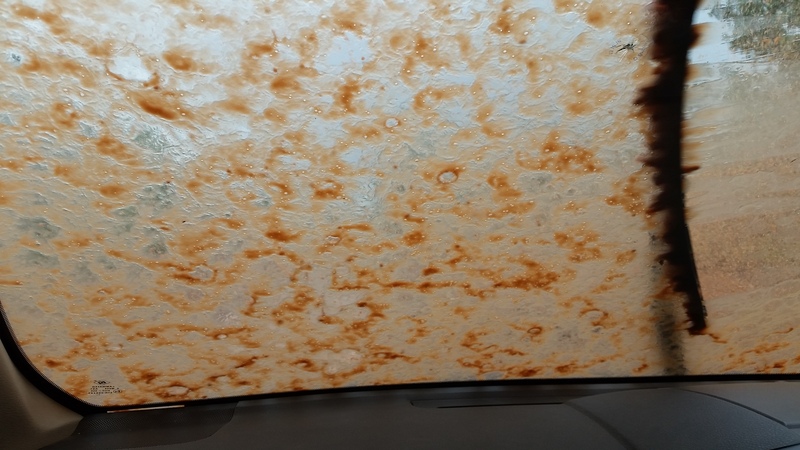 The car after Gunn Point. 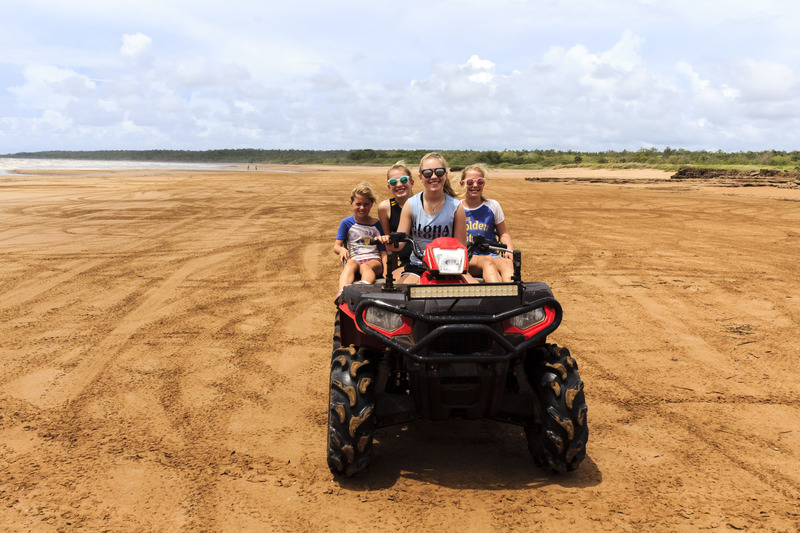 The second time we went to Gunn Point, we also went with our mates Joel, Sandy and their kids, along with their quad bikes. Needless to say, they all had a great time on the beach with the bikes, there were a few sore bottoms from mishaps and donuts, but all in all a great day. The rat pack on Joel’s quad bike. 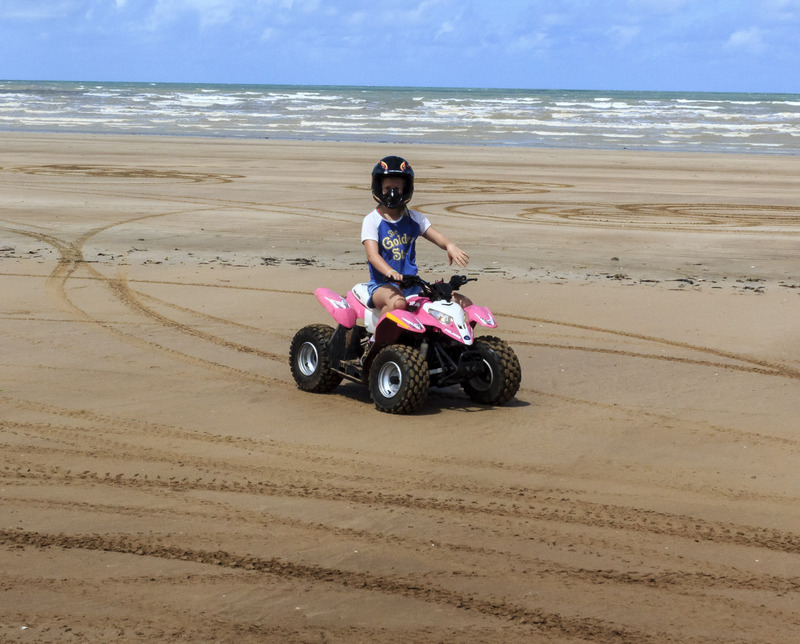 Abby on Joel’s kids quad bike. Lunch set up at Gunn Point, with Joel and his trailer of toys!!!! 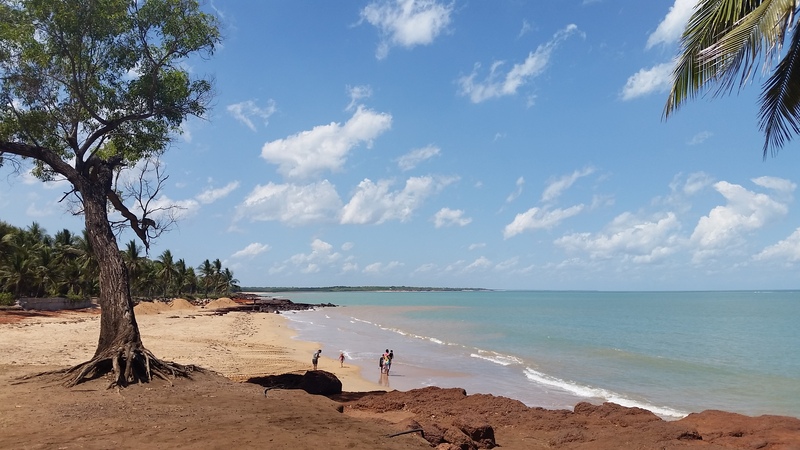 A month after arriving in Darwin, my Mum decided to fly up for a visit, and given the cold weather back in Melbourne, a good dose of vitamin D. Whilst she was here, we went to Darwin Museum, as I had heard a lot about it from others, and we weren’t disappointed. From the marine display to the Cyclone Tracey display and the boat museum, we ended up spending a few hours in there, which was lovely as it was bloody hot outside!!! 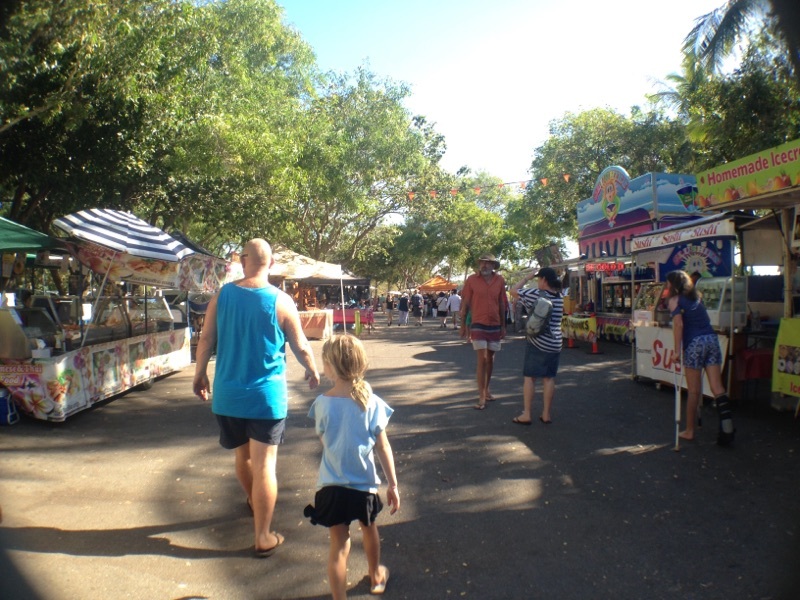 We had a great week with Mum, as we hadn’t seen her since Christmas, we also spent a day at the Wave Pool in town, visited Mindil Markets (featuring on the channel nine news) and had fish and chips at the Wharf, fresh NT barra!!! 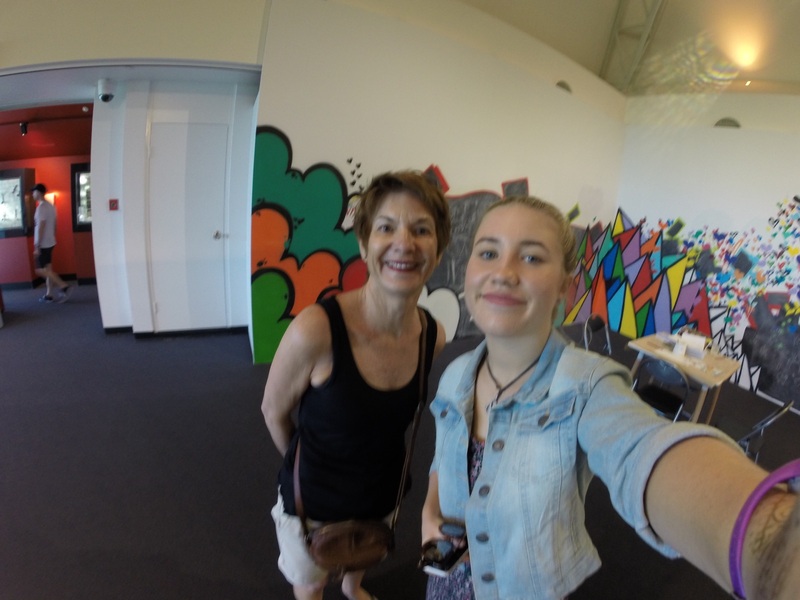 Nanny and Bec at the museum. 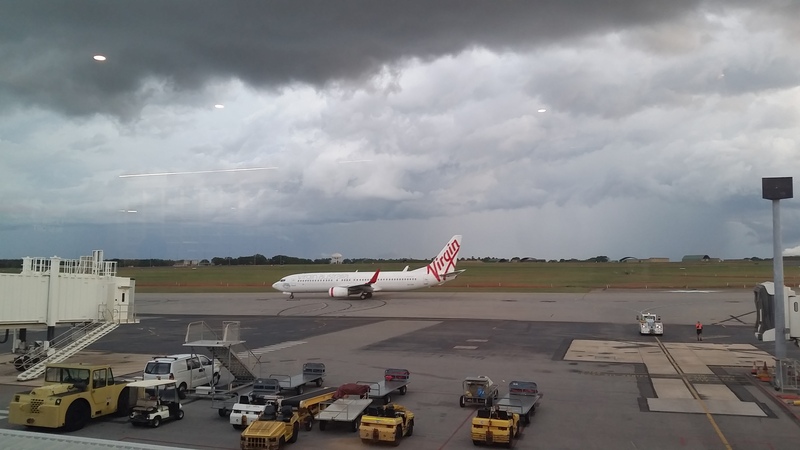 Mum heading back to Melbourne, with yet another storm rolling in…. 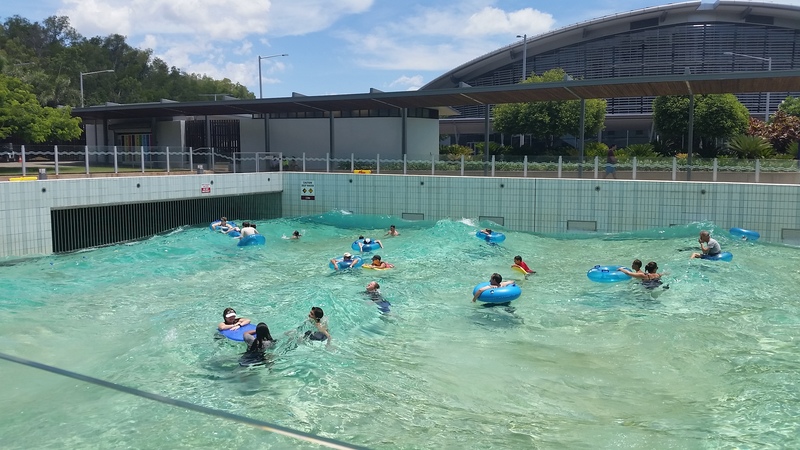 The beautiful Darwin Waterfont and Wave pool. 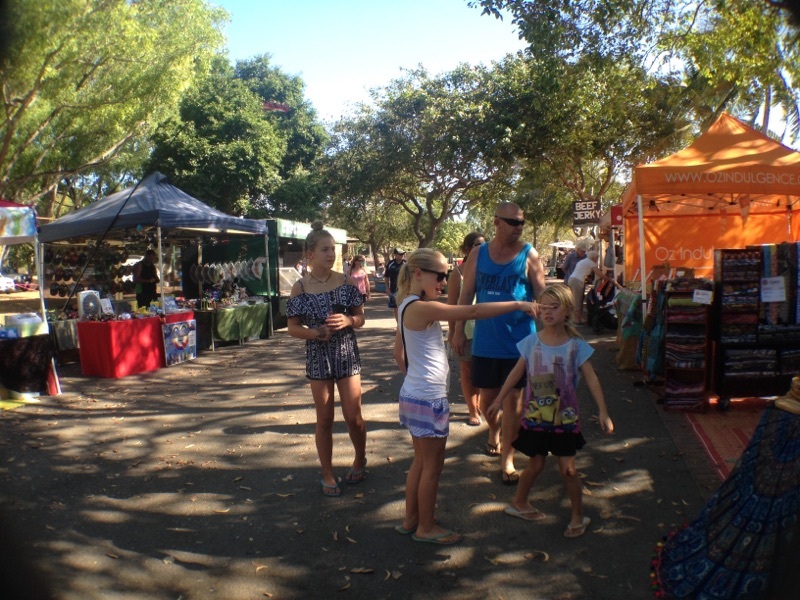 Checking out the wares at Mindil Markets. Family shot minus Bec at Mindil Markets. Zoe laughing at the ‘fun parent’. 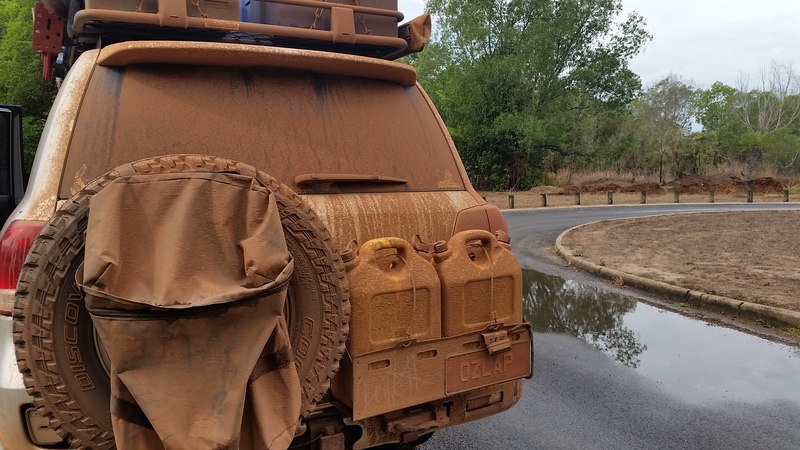 It was great having Mum up however, we all had work to get back to work while we patiently waited for our next adventure and destination on our OZLAP in 2017………………. 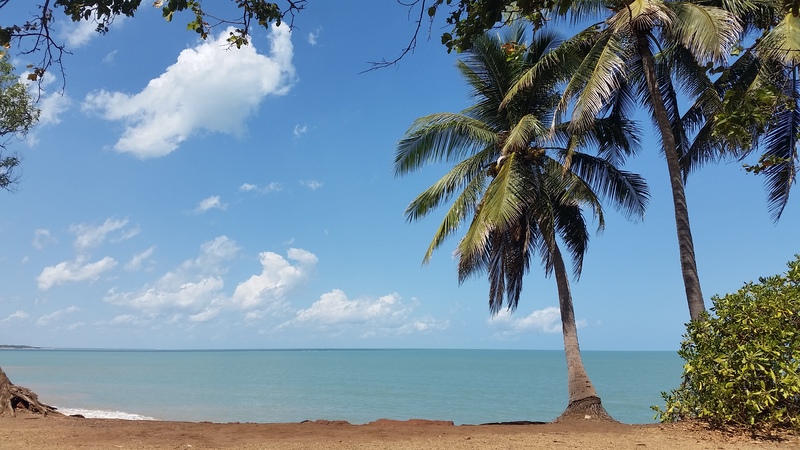 Next Next post: Darwin, NT, part two.